The $176 million investment provides new facilities for computational research and clinical trials, an education medical simulation hub, mental and behavioral health research clinics, faculty offices, and other educational spaces. The University of Colorado Anschutz Medical Campus had a reported 2 million patient visits on their campus last year, and collected more than $516 million in research funding. The medical campus also received $120 million from The Anschutz Foundation and Phillip Anschutz in 2018, the largest gift in its history. The Anschutz Health Sciences building will lay a foundation for incredible medical breakthroughs to take place. According to the Dean of the university, John J. Reilly, the University of Colorado School of Medicine aims to be in the top ten percent of American medical schools by the year 2020. Through the development of new educational programs in the basic and clinical sciences, as well as always tending to the needs of the patients they serve, the Anschutz Medical campus will bring about a remarkable change in medical advances. Life science professionals at Anschutz will be looking to purchase the most innovative laboratory products to help them achieve this goal. 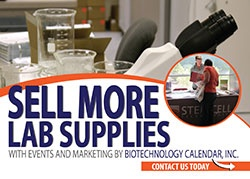 Later this spring, Biotechnology Calendar Inc looks forward to hosting its 10th annual BioResearch Product Faire™ event at University of Colorado School of Medicine (Anschutz campus). As a lab supplier, you can network with hundreds of Professors, Research Scientists, Grant Holders, Principal Investigators, and Lab Managers directly. The event will take place Thursday, June 27th, 2019. Additionally, on Wednesday, June 26th, 2019, we are hosting an event on the Boulder campus. Together, these shows make up over a $1 billion marketplace and last year drew 600+ attendees. 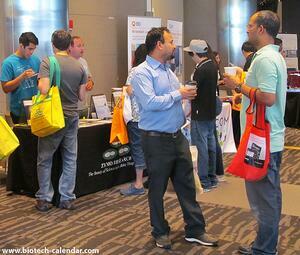 We hope you will join us at the upcoming BioResearch Product Faire™ events at University of Colorado.